Click here for the transcript of an interview with Dr. Harsh that appeared in a 1995 issue of Civil War magazine. Hat tip to Drew Wagenhoffer. Good stuff and, if you’re amenable, thought-provoking. If you know all there is to know, and are just looking for confirmation of same, don’t click. When you’re done, click here for an old old post regarding the influence of Dr. Harsh’s scholarship on interpretation at Antietam National Battlefield. Be sure to read the comments. I understand some of you are having trouble viewing these Facebook shares on you mobile devices. For Android, you may have to click through to the website itself. For iPhone, well, you made the decision to truck with the dark side, so you’re on your own. 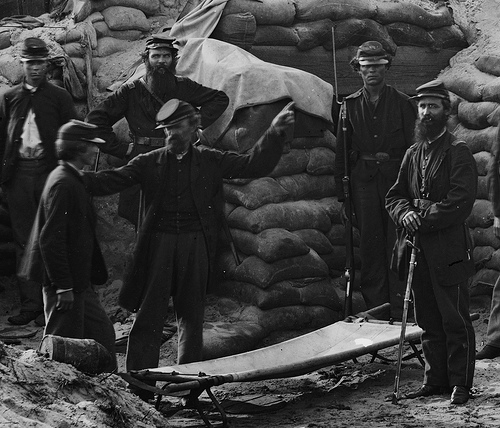 New to the Civil War blogroll is Tales from the Army of the Potomac, hosted by Dr. Timothy Orr. Tim teaches history at Old Dominion University, is a Gettysburg College grad, earned his PhD at Penn State [ROAR! ], has been a seasonal ranger with the NPS and a re-enactor, and is an all-around good guy. He may be best known as the historian who made Kelly Clarkson cry on national television. This should be good stuff, if the first four posts are any indication. Here’s an interview he did for Bull Runnings a while back. Ethan Rafuse of Civil Warriors has decided to bow out of the blogging arena, and given the load he’s carried at that co-hosted site I imagine we’ve seen its end. Everyone has their own reasons for blogging or not blogging, and I’m not going to evaluate Ethan’s decision making one way or the other. His is a voice that will be missed. I do hope to continue to shoot the shinola with him as in the past – it’s always been fun! 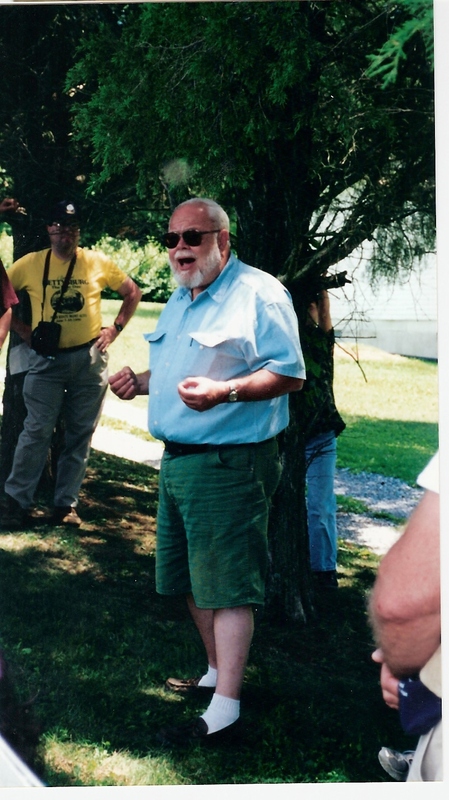 If you haven’t heard about “historian” Richard Slotkin’s new book on Antietam, Google it. I will not link to it here. I refuse. Just like the Supreme Court and prior restraint, the book has been roundly rejected by a number of Antietam scholars I know. But check out this critique of a recent interview this “historian” – make that “MAJOR historian” – recently did with NPR.